Icelandic blues-folk that combines Delta riffs, somber balladry and frontman JJ Julius Son's falsetto wail. 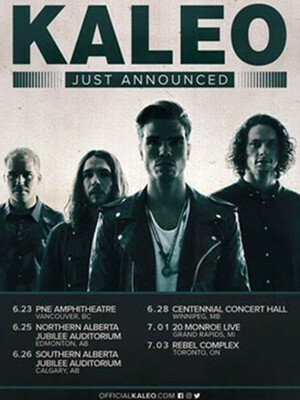 Icelandic blues rockers Kaleo formed in Reykjavik when the band members were just 17 years old, choosing to immigrate to the states after signing to Atlantic records in 2015. Inspired by their new home base of Austin, Texas, the folkrock quartet infuse the gritty sounds of Americana with a driving indie-pop aesthetic. Don't miss them when they bring their Grammy nominated music to a city near you! In the tradition of the Black Keys and Jack White, Kaleo fuel their bluesy angst with driving, pounding drums and fiery guitar licks, anchored by emotive piano chords. The outfit is known for their slow-burning anthems that devolve into raucous, epic endings that whip their audiences into an all-singing, all-dancing frenzy. Sound good to you? 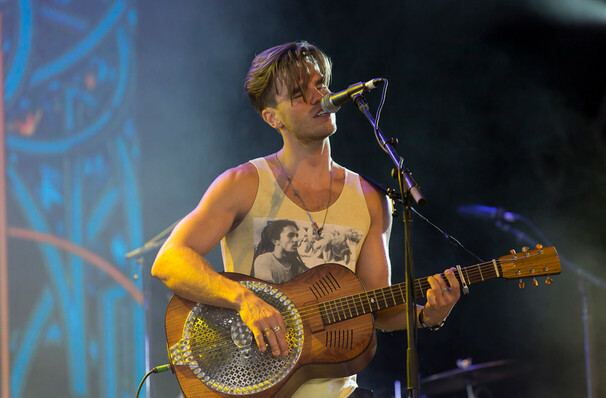 Share this page on social media and let your friends know about Kaleo at The Ritz. Please note: The term The Ritz and/or Kaleo as well as all associated graphics, logos, and/or other trademarks, tradenames or copyrights are the property of the The Ritz and/or Kaleo and are used herein for factual descriptive purposes only. We are in no way associated with or authorized by the The Ritz and/or Kaleo and neither that entity nor any of its affiliates have licensed or endorsed us to sell tickets, goods and or services in conjunction with their events.